I’m really enjoying working with ForGoodnessShakes so far. Their protein drinks taste great and you can tell they’ve put a lot of effort into what goes into each product type. 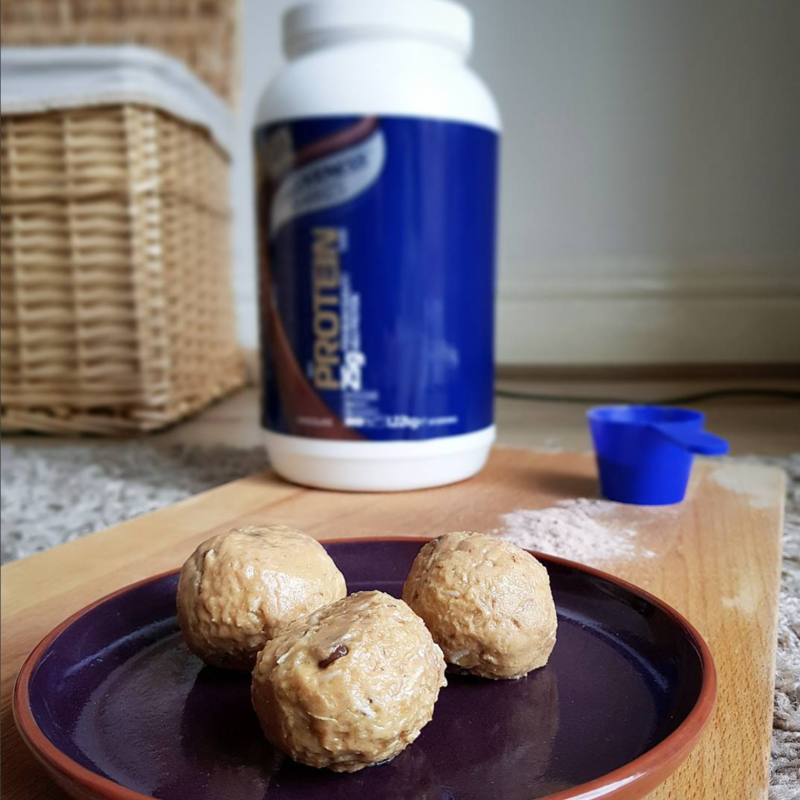 I’ve used their Chocolate Protein to help create these delicious protein balls. They’re healthy and a perfect snack for on-the-go, plus they’re a lot cheaper than buying individual ones from the supermarket! Stir together the cashew butter, honey & oats in a large enough mixing bowl. Add the desiccated coconut and protein powder along with the vanilla extract. Mix the ingredients together and as they start to combine add the chocolate chips then continue to combine. Form the mixture into small balls then place into an airtight container and refrigerate for up to 1 week.